When Mac released their Archie's Girls collection I couldnt've been more happier. I looked at Selfridges and wanted everything. It took me a while to select the few I wanted. I didn't purchase any for a while until I walked past my local Mac and saw them putting out the Archie's Girls and ran in at the chance to have my pick of the collection. I came out with one thing, Ronnie Red. I then went back a few days later - After everything was pretty much sold out - and came out with a blusher and a pearlmatte blush which I will review very soon. 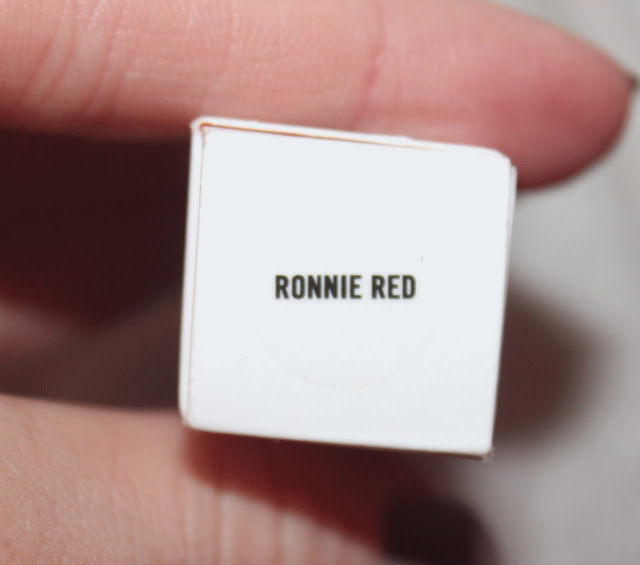 Ronnie Red is a gorgeous matte red with cool tones. 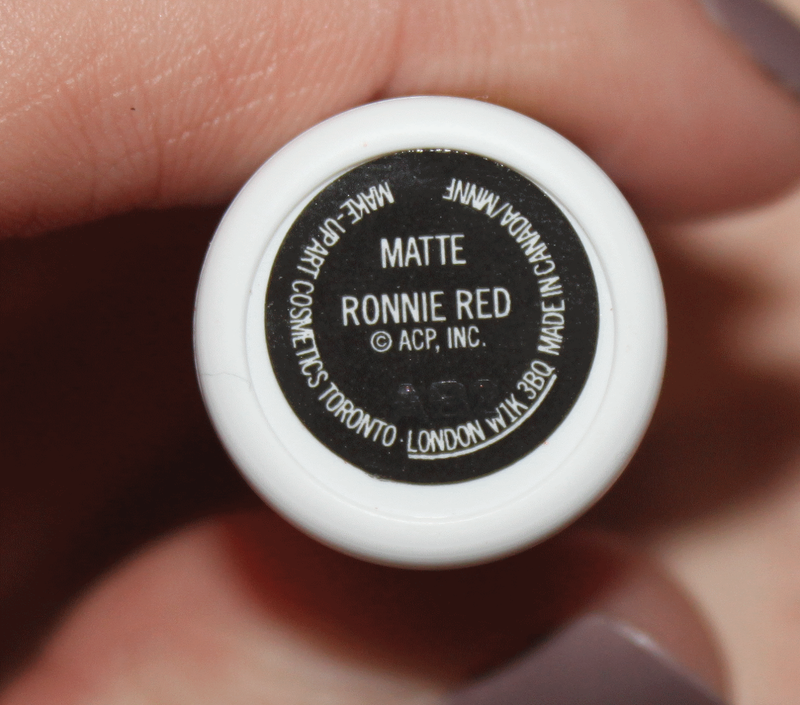 If you compare it to the matte Russian Red you can see the difference between the two and you can see that Ronnie Red has more of a blue tone. I adore this colour and I can't wait to wear it out properly. This had such a long wear too, which I was so pleased with. I have noticed that Mac's matte lipsticks have amazing wear on the lips. I can go the whole day without reapplying if I've not really ate or drank anything, however I do carry it around just in case I need to touch up. I love this shade and I will be wearing this a lot! Because of my pale complexion the blue toned lipstick looks really lovely on my skin. Overall, another winner from Mac - Wish I'd picked up more lipsticks from the collection, but this was by far my favourite. This shade is sold out online but still may be available at your nearest Mac counter for £15.50. Did you get any lipsticks from this collection? And did you like Archie's Girls? This looks a lovely shade darling - not a fan of the packaging of the Archie's Girls range but the colours look lovely. This is such a gorgeous red! Lovely colour, really suits you! I have seen this collection in MAC also. Oh my it's beautiful! I love my Russian Red but this is tempting too! I'm so sad I missed out on this as it looks like the perfect shade of red. I did however get the Veronica's Blush Pearlmatte Powder and I love it. I love a red lippy!